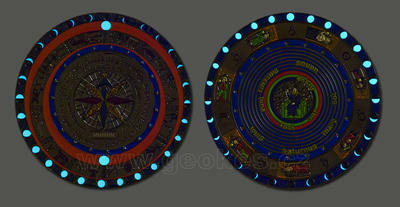 Polished copper finish, bright colors, and glow-in-the dark effects. This version includes wooden stand, all combined in a gift box. 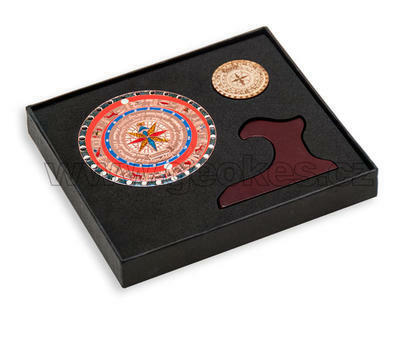 Also includes a wooden doublette (proxy) for traveling. 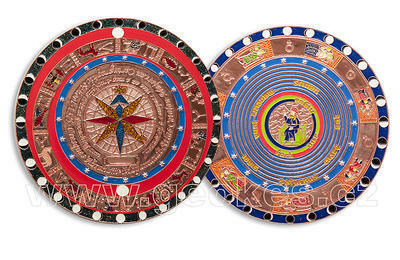 Mapamundi Geocoin is based on the world map created in 1375 by Abraham Cresques. Diameter 90 mm, thickness 5 mm.